The Real Honeys of SF is the show that doesn’t save any drama for your mama. Local Honey will create a brand new reality show from scratch, right in front of your eyes and inspired by you. Audience suggestions are used complete with wacky characters, and to camera confessionals created on the spot. You’ll laugh, you’ll cry, and you’ll yell at the screen (*cough* stage). And hey, you don’t even have to get out of your leggings. So bring your BFF, grab your Snuggie, and head on down to Stage Werx. Will we say yes to the dress? How super sweet will our sixteen be? Or, heaven forbid, will we be… chopped? 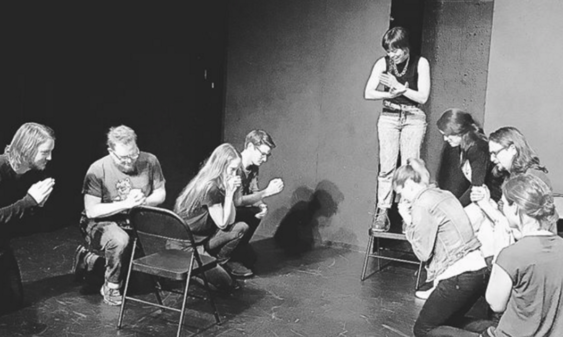 The Local Honey improv team is most known for its performances in SF Sketchfest, the San Diego Improv Fest, and for its stint as a house improv team at Endgames Improv in San Francisco.